NanoFoil can be supplied in tape & reel packaging, to utilize automated placement equipment. Soldering times are measured in fractions of a second. Activation of NanoFoil can be contact-less and automated (using laser ignition). Eliminating the need for cleaning heating equipment. NanoFoil is ideal for cleanroom processes, as it does not outgas, and requires no flux. NanoFoil is Pb- and Cd-Free. 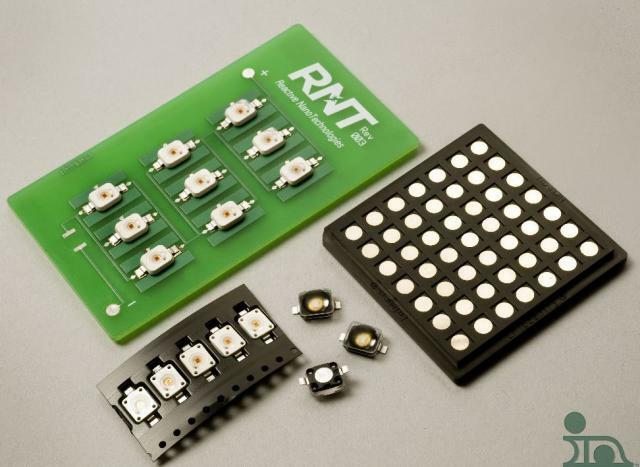 Please let me know if I can help you evaluate NanoFoil® for your LED manufacturing process.